When the weather starts getting nicer outside, relax and enjoy the sun under the comfort and protection of a beautiful awning from Eastside Awning! 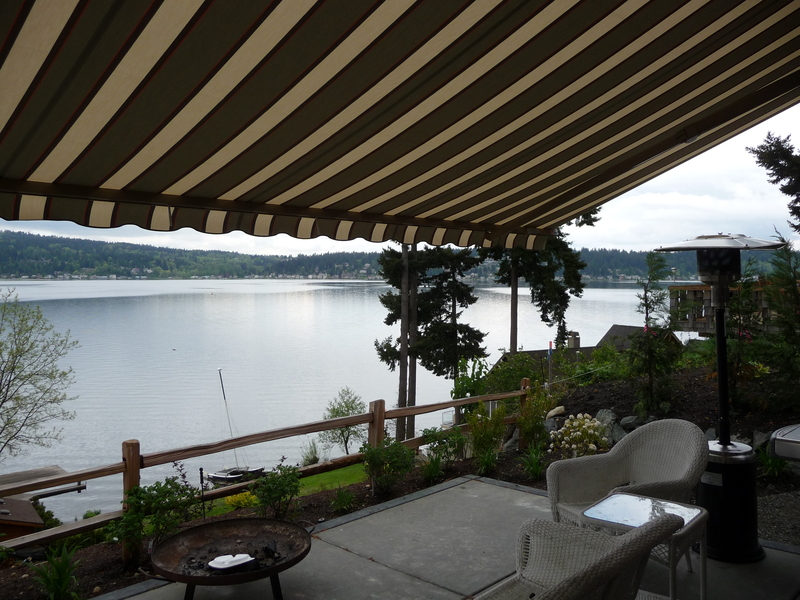 We provide sun protection and patio covers in the Issaquah, Bothell, Woodinville and Sammamish areas. The aesthetic appeal of an awning can enhance the curb appeal of your home. With a variety of colors and styles available, we can provide a customized awning to create a look that you love. An awning can also add value to your home if you choose to sell. An awning can provide you and your family with a reprieve from the hot summer sun, and give your children and pets a cool place to play, protected from the sun’s harmful rays. In addition to keeping your family cool when they are outside, an awning can keep your home cooler inside by blocking the sun from shining through your windows and doors. This can also help you to save money on air conditioning costs. The addition of an awning can increase your living space by providing you with an additional room protected from the sun and rain. Because an awning can shield you from the elements, there are a variety of ways that you can use your new space. Whether you are entertaining, spending time with the family, or enjoying some quiet time by yourself, an awning can create a private and peaceful area for you to enjoy. There are so many reasons to add a beautiful and functional awning to your home, and our experts are just the people to help you! Whether you need answers to your questions, or would like to examine the options available to you, count on the experienced team at Eastside Awnings to meet your needs!